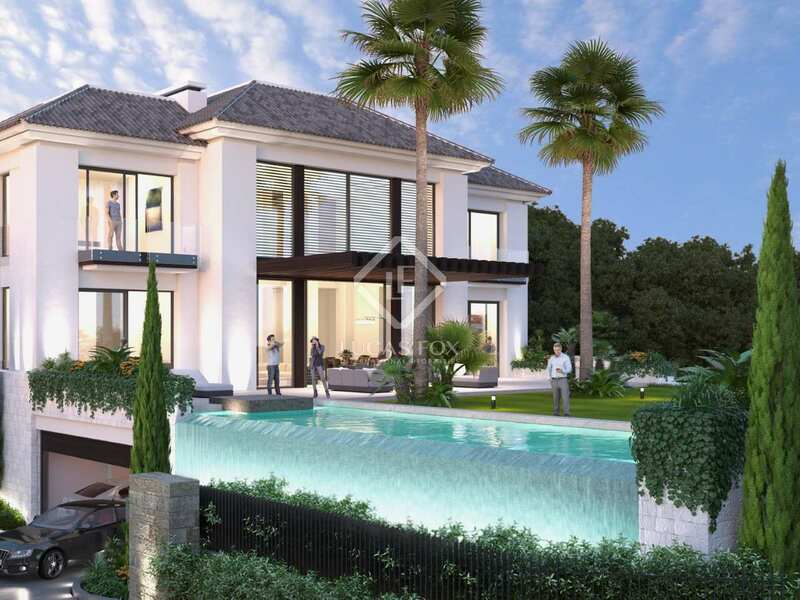 Designed by famous architect Diego Tobal to the highest specifications, this spectacular and very spacious villa overlooks the Costa del Sol from a perfect position in the prestigious private urbanization of Los Capanes del Golf. 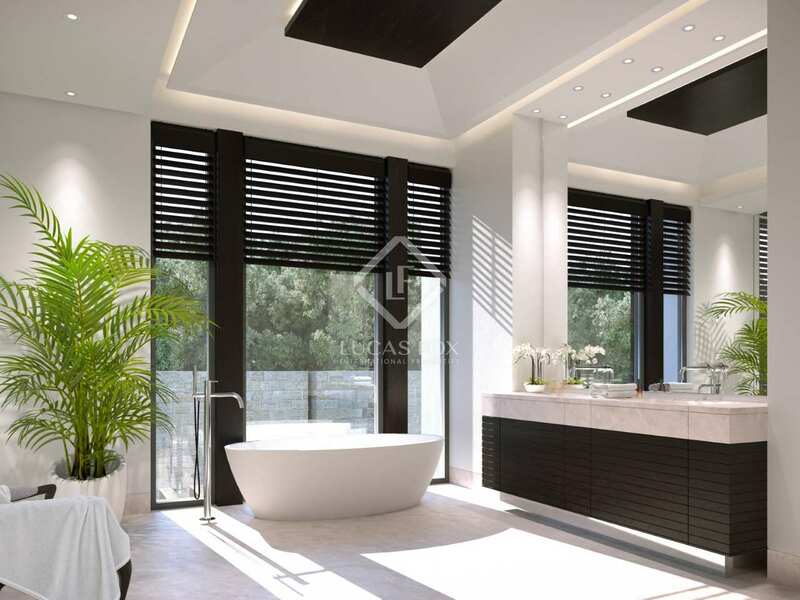 This large, imposing home boasts every luxury, exceptional finishes and oozes privilege and comfort. 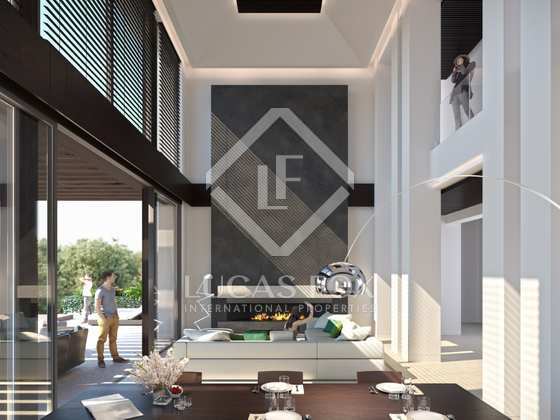 Sweeping areas of glass, double-height ceilings and the perfect combination of interiors flood the interior with natural light, while beautiful terraces and gardens perfectly bring together the inside and outside spaces. 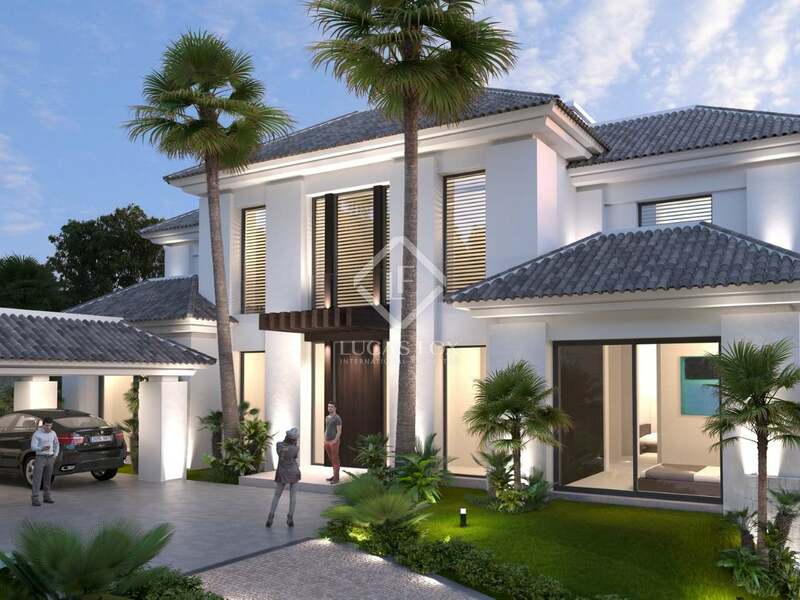 The wonderful infinity pool provides a breathtaking exterior focal point, surrounded by lawns and mature palms and providing the ideal environment in which to relax and enjoy the perfect climate. The garden and bedroom terraces also capture the lovely views of the 18-hole golf course, mountains and sea. 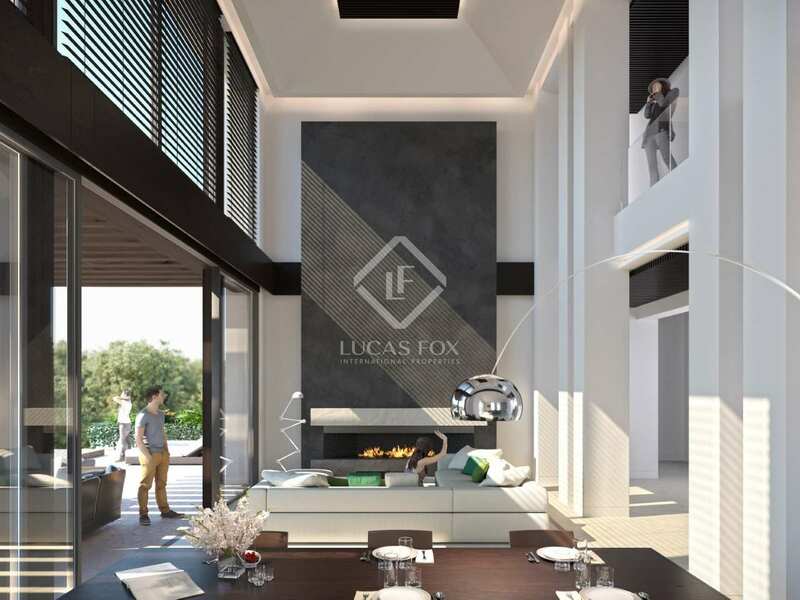 A wine cellar, home cinema and gym also add luxury appeal, while full home automation combines with sophisticated heating and cooling to ensure maximum comfort throughout the year. Comprehensive security adds extra peace of mind to life in this private community. 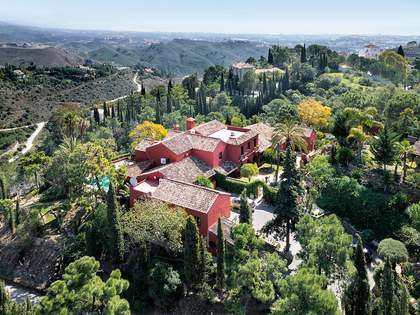 There is plenty of storage, a gardener's room with bathroom and a private underground 2-car garage for easy access to the wonders of the Costa del Sol and a fast return to your perfect paradise in the hills. 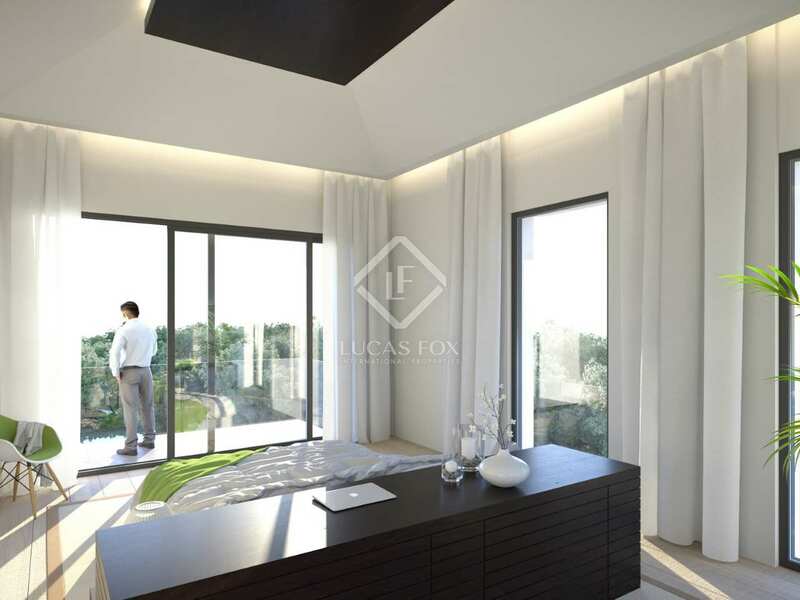 The exclusive, secure urbanization of Los Capanes del Golf is set in stunning scenery just a few minutes from the lovely mountain town of Benahavís. The house overlooks a private golf course and has fantastic views of the mountains and across the countryside to the sea. This is a fantastic position between Marbella, Estepona and Ronda. The setting is an oasis of calm and luxury, but the wonders of the glittering Costa del Sol are very close by, with the beaches and superycht haven of Puerto Banús just a 10-minute drive away. This is a wonderful home or holiday property. Shops and an international college are very nearby, while Málaga airport is just 45 minutes along the coast.